CAMP membership is worth more than the cost of admission. Here are several reasons why your CAMP membership remains valuable year in and year out. Joining a professional, industry-specific trade association is a very wise investment in your business. At CAMP, we are committed to bringing all of our mortgage professional members value far beyond the membership fee. Think of a professional association membership as an investment in knowledge and your career. Networking/Personal ConnectionsThis may seem obvious, but associations offer the chance to connect with others in the industry. CAMP offers invaluable industry networking helping your reputation and your business. Education/Professional DevelopmentCAMP offers a variety of educational opportunities from webinars to Regional Symposiums to Annual Conferences. Educational resources alone can pay for your membership. Legislative Representation/AdvocacyOne of the most overlooked benefits of an association is advocacy. When you become a member of CAMP, you have an organization dedicated to protecting and advancing the needs of the mortgage professional. As the fortunes of your industry rise, so does your business. Industry NewsCAMP stays on top of changes in the mortgage profession's regulation and compliance, and breaks down how these changes apply specifically to your industry. Becoming a member of the CAMP gives you a fast pass to any noteworthy news or developments in the mortgage industry. Cost SavingsOne of the most tangible association benefits is saving money on relative products. By joining CAMP, you’ll be able to take advantage of deals on services listed below on this page. See all of the benefits of our partners below! California Association of Mortgage Professional has partnered with Uberwriter to provide you a discount on the one time set up fee of $149 reduced to $119 for Camp Members. Click here to take advantage of this benefit! Listing Booster allows an MLO to partner with real estate agents in the marketing of their listings. Virtually all “on-line” leads come from listings. Listing Booster allows you to generate these leads directly, bypassing the huge fees charged by lead aggregators such as Zillow. Using Listing Boosters simple, proven strategies can generate hundreds or even thousands of purchase leads a month. Listing Booster also connects to virtually any drip campaign CRM system making it the perfect “front-end” of your on-line lead-gen/conversion machine. CAMP members get 30 days free. Let us give you a demo today! Built on Salesforce®, the World’s #1 Customer Success Platform, Jungo provides financial industry experts with marketing, co-marketing, compliance, and CRM solutions from one login. It is a one-stop-shop solution, integrating with thousands of leading platforms to give clients the ability to track, interact with, and market to all of their contacts. Click here to learn more about Jungo! Our goal is to create your DREAM VACATION at the best value. We are delighted to partner with CAMP. We offer Members, exclusive value-added amenities and special savings on over 200 worldwide cruise ships, Resorts and Escorted Tours. Members, family, and friends can save from 10% to 60% on leading cruise lines like Princess, Carnival, Royal Caribbean and Holland America. As agents for the cruise lines, we do not charge for our basic services and offer equal or better rates than the cruise lines offer on a direct basis. We also have the added advantage of delivering expert advice, counseling and personalized service. Additionally we will donate a percentage of the sales to CAMP to help support programs. 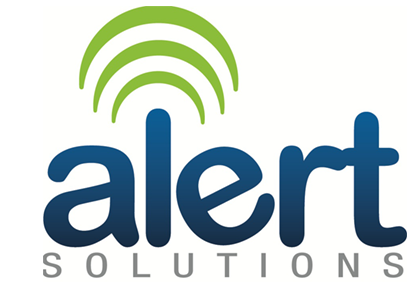 Cloud-Based Messaging, Fax Broadcasting, Email Marketing Voice Broadcasting, and SMS Messaging! CAMP members recieve a 15% discount! Click HERE to email Tony Abi-Zeid to take advantage of this offer! Increase your production, enhance your professional image, have financing options at your fingertips, do hours of financial calculations in just minutes, and earn more commissions! Preprogrammed for financing (FHA, VA, conventional), prequalification, buying vs. renting, buyers’ costs, sellers’ net, amortization. Click HERE and enter coupon code CAMP2018 to get 20% off! Step 1: We constantly gather live mortgage information and cool real estate news. Step 2: We post your social media according to your schedule for you! Step 3: Nothing – it’s really that simple. Click HERE and enter discount code CAMP to get 25% off! Through MEC's partnership with CAMP, we can offer you huge savings on your online 8 hour continuing education! Included in this year's CAMP membership is a special price offer for 2017NMLS 8 hour continuing education through MEC for $49.98! The 8 hour online self study course features instructor David Luna in HD video sections that can be completed 24 hours a day. The course is conveniently broken into 5 minute sections so you can start and come back where you left off. CAMP members clickhere for the discount link! California Association of Mortgage Professionals has partnered with OnlineEd to provide you a low price on continuing education as a member benefit! The link below will take you to a members-only page with your special discount. OnlineEd offers two options for California NMLS and BRE licensees. We offer a standard 8-hour course that will satisfy NMLS license renewal standards, and a second version of the course that is approved by the CA BRE for both your NMLS and BRE license renewal. Select the option below that is right for you. Having trouble finding an attorney that knows our business? Welcome to the Law Offices of HERMAN THORDSEN! Don’t forget, as a CAMP member you also receive a FREE half hour of legal advice from Herman Thordsen. Start here to take advantage of the offer! Your CAMP membership can get you a discount on CRM and website setup fees! CAMP members are eligibile for discounted rates on select Envertex Realty services, including 20% off website initiation fees and 80% of CRM set-up fees. These services are perfect for the mortgage professional looking to increase their web presence and improve their web strategy. For more information, start here! eEndorsements review marketing platform is designed to easily capture your client feedback, minimize your negative reviews, share positive review content on social media and major review sites, along with enhancing search engine optimization to increase revenue by driving more referrals for you. Exclusive discount for CAMP members on a complete review management system designed to grow your business! CAMP has negotiated a member deal with eEndorsements.com for a discount of up to 25%! Click on the site link today for a no risk 14 day trial, with prices starting at $19 per month or $190 annually. eEndorsements - Promote Your Success! To get your member code and use this benefit immediately click here. PRO is mortgage origination software that provides a modern, customer-centric approach to mortgage origination, creating transparency and making the customer part of the process. CAMP members get a risk-free, 2-month free trial, no credit card required, and then 50% off on this software that is designed to increase customer satisfaction and referrals, and is highly shareable. To get your member code for this benefit, click here. 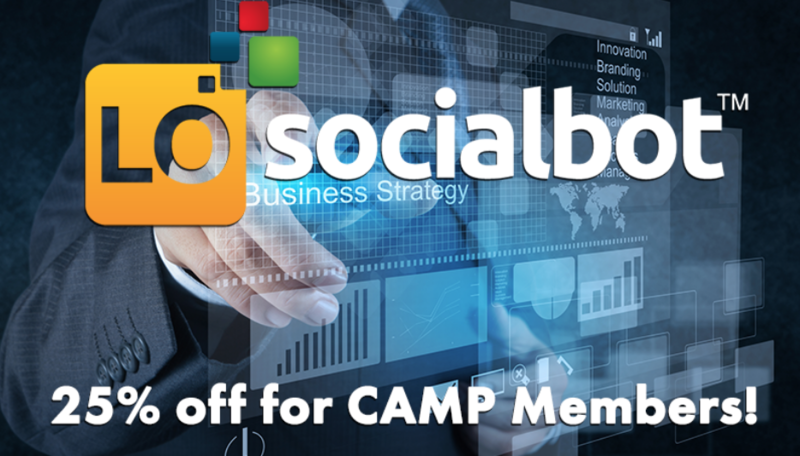 Save money on your CRM and Marketing System with your CAMP membership! Market Focus, the pioneer of automated marketing solutions since 1992, is pleased to offer CAMP members special pricing on the industry’s leading CRM and marketing system – Mortgage Quest. To register click the link below then click the sign up now button at the bottom of the page and submit the online form. Someone from Market Focus will contact you to set up your account. Everything you need to succeed is right here. CAMP members receive a bonus 10% discount and 20% off a six month prepay, or 25% off a full year. California Association of Mortgage Professionals (CAMP) members can now save up to 34% on select UPS® shipping services. A variety of plans available from a choice of two carriers: Kaiser and Western Health Advantage. Vision insurance benefits through Medical Eye Services are available as well as dental insurance through Delta Dental. The CAMP logo may not be used on company letterhead, company marketing collateral, or the company’s Web site.